Clarifications on the Term "Rigpa"
I'm not sure about the 'everything arising from rigpa' but Tsoknyi Rinpoche's comments regarding rigpa completely pervading all things, and by understanding rigpa you understand all phenomena... are pointing to the fact that once recognition of one's nature has occurred, the delusion that apperceives phenomena as objectively arising qualities of experience which appear to a mind, is overcome. So that is to say, the recognition of rigpa is essentially the very first time one's experience is known accurately, and that knowledge is then the foundation for one's practice in dzogchen. It's not only the refutation that appearances are the samsaric dualistic mind, but the very idea that appearances and phenomena are subsumed into the mind or consciousness. It's the notion that the objective phenomena are non-dual with a subjective mind or consciousness, and that there is a union of those polarities. The Dzogchen view is that both the mind/consciousness and the objective appearances are byproducts of delusion, just as Longchenpa says in the quote above; "Likewise, various kinds of phenomena are appearing in the deluded mind because of the interdependent origination of the causes and conditions of delusion." The mind/consciousness and phenomena viewed as objective, separate or subsumed within that mind are both products of delusion, grasping and clinging, imputation and conceptualization etc. The moment a mind or consciousness is posited, that which is not-that-mind arises, that is the dependent origination. The idea is to see that the mind/consciousness and the phenomena are dependently originated and therefore both are rendered empty if that is ascertained successfully. Also, nothing truly arises from the basis (gzhi), the basis simply displays it's appearance as the five lights, but since that spontaneously and naturally formed display (lhun grub) is primordially pure (ka dag) it's not established (nor unestablished) in any way. Only when that display isn't recognized to be self-display, does phenomena arise. The basis is never involved in delusion in any way nor does it display delusion, delusion arises due to non-recognition. The recognition of rigpa is simply the knowledge or discernment which results from ascertaining the display of the basis to be self-display. The Mahamudra instructions which say 'everything is mind' is usually a line of reasoning which runs like so: 'everything is mind, mind is empty' so it's a way of helping the aspirant to achieve recognition (if recognition didn't occur in direct introduction). Everything is the mind deems everything as nondual with the mind, and then the mind is empty i.e. insubstantial, unfindable, unestablished. It's just a way to say that which you perceive as 'objective phenomena' is truly neither the same nor different than the mind, both are imputed designations. Since dzogchen is resting in rigpa, the nature of the mind has already been recognized and so it's emptiness is implicit in the view to begin with. Stian Gudmundsen Høiland, Din Robinson, Dairin Ashley and 6 others like this. Jackson Peterson That's exactly as it's seen here... Excellent post! When mind-consciousness recognizes its own emptiness, rigpa self recognizes because it is the empty nature of mind pervaded by "knowing". When the mind-consciousness doesn't recognize its empty nature it manifests as bewildered confusion: the root of ignorance. Dairin Ashley WOW!!! That is one awesome quote!!!! Dairin Ashley The Sun That Illuminates the Meaning - is this a book? Kyle Dixon Still it is inappropriate that Jax refers to primordial wisdom [ye shes] as consciousness [rnam shes]. Consciousness is a symptom of confusion and is dualistic in nature, the consciousnesses are absent in wisdom. the eight avenues of consciousness are absent, so there is freedom from mind." Din Robinson so if i say this in plain english, would it come out as the wisdom of awareness aware of itself and seeing consciousness as the idea or projection of a self and of other objects "out there"? Malcolm Smith The Sun that Illuminates the Meaning is a short pithy commentary on one of so called sems sde lungs, The Cuckoo of Vidyā (rig pa'i khu byug). Dairin Ashley Thanks Malcolm. Where can I find it? Malcolm Smith If you read Tibetan you can find it in the bka' ma shin tu rgyas pa in the sems sde section. If you cannot, I am afraid you will have to wait until I publish it. "When mind-consciousness recognizes its own emptiness, rigpa self recognizes because it is the empty nature of mind pervaded by "knowing""
Kyle Dixon Though rigpa [vidyā] isn't awareness, better to leave it in Tibetan or Sanskrit. In English, 'knowledge' or 'discernment' are more appropriate. To paraphrase Malcolm; you can have awareness without knowledge, but you can't have rigpa without knowledge. Jackson Peterson Din Robinson, mind-consciousness IS the light of awareness as are all phenomena. Roger Mahaffey Not always so. Suzuki Roshi said not awlays so. Nothing is always so. I like that. Kyle you should take that into consideration. "Though rigpa [vidyā] isn't awareness, better to leave it in Tibetan or Sanskrit. In English, 'knowledge' or 'discernment' are more appropriate. To paraphrase Malcolm; you can have awareness without knowledge, but you can't have rigpa without knowledge." "you can have awareness without knowledge"
Kyle Dixon Perhaps in other non-dharma traditions... but it wouldn't be accurate in the context of Dzogchen. Jackson Peterson Din Robinson, this is a big error on Kyles part. "Discernment" and "knowledge" are both on the side of intellect, like "information". What is not understood is that "awareness" IS gnosis, when awareness sees Itself. The awareness can be seeing "outwardly" which is like a registering perceivingness. Kyle calls that "awareness". But when that same exact awareness observes or knows Itself, in that self-reflexive moment, rigpa arises as that insight as gnosis. This is why Kyle and others chase information and texts, clinging to words, because they haven't recognized the wisdom within "ordinary" awareness when looked at by its own attention. That's why I differentiate "awareness" from "Knowing Awareness". John Tan Any term in Dzogchen that refers to instant illumination of Clarity itself? Jackson Peterson John Tan, yes... that flash of "instant illumination of Clarity" is called "Rigpa". That is exactly what Rigpa is! Justin Struble Rigpa always by definition has the connotation of "recognition" .. ie; when there is Rigpa, there is recognition of one's nature, that recognition is "knowledge" , "discernment" , vidya .. all of which refer to direct experiential realization, and not the intellect. Kyle Dixon John, there's the mere clarity of mind, which is also given the name rigpa, and then there is the actual rigpa of the path which arises from recognizing the nature of mind. The former is merely the mind and is provisional, the latter is the definitive rigpa of Dzogchen. Jax clings to the provisional and parades it as the definitive. Kyle Dixon The instant illumination of clarity is the mind. When the mind is recognized as empty (meaning clarity is recognized as empty), then the deluded reference point called mind (the abiding substrate knower behind the known) collapses. Kyle Dixon The discernment / knowledge I'm speaking of has nothing to do with the intellect. "This early stage of knowing or noticing whether there is stillness [of mind] or thought occurrence is also called rigpa. However, it is not the same meaning of rigpa as the Dzogchen sense of self-existing awareness [rang byung rig pa]. Great masters traditionally give something called pointing-out instruction, which literally means bringing one face to face with one's true nature. What is this nature that is being introduced? A practitioner of shamatha who has cultivated a sense of stillness to the extent that there is no longer any dividing point between thought occurrence and simply resting experiences a certain quality of knowing or presence of mind. This knowing is what the practitioner is brought face to face with - or rather, the very identity of this knowing as being rootless and groundless, insubstantial. By recognizing this, one is introduced to self-existing awareness, rangjung rigpa." He too uses 'awareness' as a translation of rig pa, but only because it is a prevailing trend in translation. One that many are beginning to reconsider. "then there is the actual rigpa of the path which arises from recognizing the nature of mind"
Jackson Peterson I would avoid "knowledge" but prefer its root "gnosis" which is more intuitive. Discernment clearly is not accurate as that can be just an aspect of clarity. Rigpa doesn't see "subjects" or "objects" that need a clear discernment. Of all the Tibetan translators currently and previously translating Dzogchen as well as perfect English speaking Tibetan Lamas, none translate rigpa as knowledge or discernment. They mostly use "awareness", "knowing ", "primordial awareness" (rangjyung yeshe) "instant presence", "gnosis". All of these words imply a sentient consciousness (shes pa) that has this "knowing Awareness" as a core attribute of the Buddha Mind. It's the Buddha Mind in recognition of itself that is rigpa, not a knowledge or discerning intelligence. The Gelugpa would more likely call rigpa "knowledge" and especially "discernment". But even the Dalai Lama calls rigpa the experience of the Mind of Clear Light. Its a self-recognizing consciousness, (shes pa) : rang-rig rigpa. Vidya's root is "vid", as in video which implies a "seeing". Knowledge would be the translation for academic use of vidya in Sanskrit, not yogic practice. Din Robinson hasn't the Dalai Lama admitted he's not enlightened, just an ordinary monk? Jackson Peterson Here's the thing with rigpa: it's not a new informed understanding. Its a different perspective: experience is experienced differently. You were looking from the view at the bottom of the mountain, suddenly you are actually "seeing" from the mountain peak. The panorama is completely different as seen from this perspective. Your consciousness is completely transformed. Kyle Dixon Rigpa is direct knowledge of wisdom. Rigpa is able to properly discern mind from wisdom. Hence, rigpa, as knowledge, is the opposite of ignorance. It's quite simple. Kyle Dixon Right Neony, I wasn't directing that comment towards you, just the discussion in general. At this point it sounds like Jax is just kicking up dust to do so. It should be perfectly apparent why knowledge and/or discernment are proper treatments of rig pa [vidyā]. Ma rig pa [avidyā] means ignorance, so in translating rig pa you are obviously looking to the opposite of ignorance, which would be knowledge, or a species of discernment. In this case 'knowledge' should not be interpreted as an intellectual knowledge but rather knowledge of something which comes through recognition or an epiphany. Whereas before you lacked knowledge of something, you now have knowledge of it, you directly know it first hand. After all what exactly is rigpa? Whats the difference between rigpa and nirvana? Rigpa is just your knowledge of your primordial state. Rigpa could also be awareness about the / "our" Natural State? There can be awareness without knowledge but there cannot be rigpa without knowledge. So no, rig pa is knowledge of our state, whatever adjective you wish to use to describe it. - First how is knowledge seen of a State which is without recognizing or is more experienced in the sense of " self-iluminating "? - So i guess that "knowledge" has the meaning of be aware of that State by study or by realisation of the Natural State which is without "knowledge" of that State. So Rigpa can/ has also here above mentioned, the meaning of the knowledge which one must have to be able to regognize a certain degree in the Dzogchen Yogas / "meditations". Further is English sometimes not good enough to make some uusefull Dzogchen translations. Knowledge comes from recognition. Without recognition, no knowledge. English is actually a very good language for Dzogchen translations -- it is very precise. Awareness with an added word. Like Selfsprung Awareness, Pristine Awareness, 'inner Pure Awareness and Knowledge', and other to express completedness. I know what Sogyal says, and translating rig pa as "awareness" is passe. Further, just as a simple point of Tibetan grammar, rang gi rig pa means "one's own rigpa", not self-awareness. rang byung rigpa means "knowledge that comes from oneself i.e. it is based on one's own direct experience. Ye shes is normally translated as wisdom or primordial wisdom, but some people these days, following John Pettite and Richad Baron are liking primordial awareness for this. I back translate rigpa in Sanskrit generally, as vidyā unless it is being used as a verb "to know". Adriano Clemente has stopped translating it altogether, which I approve of. However, since we use terms like dharmakāya, etc., for Buddhist Dzogchen texts at any rate, vidyā is another word that is preferable. On the other hand, we are still very much in the experimental stage and every translator and and so on has their own ideas based on what they understand about the teachings. Yes the term Rigpa, is a very difficult word to translate, sure when it is related to awareness. Also is it clear that Rigpa could also be inteligence, that was also one of my earlier suggestion. In my opinion, translating rigpa as "awareness" is simply wrong. Intelligence is also not good, again IMO. In this case, knowledge is best. Why? Because rigpa is opposite to ma rig pa. Knowledge is the opposite of ignorance. Yes, the word what can help the most clear to express its' meaning, is what one can apply. No idea make wholes in "naked awareness", a word of Lama Surya Das. IMO opinion the word "vidyā" does not mean "awareness", as I have explained. The term "shes pa" can mean awareness depending on context. It can also mean "to recognize" depending on whether it is being used as a noun or a verb. Having translated and read thousands of pages of Dzogchen texts, I am very dissatisfied with the use of awareness for rigpa. It should be deprecated, like HTML 1.0. ...but I never saw you say anything about Namkhai Norbu's translation of rigpa as "presence" which is really a lackluster tranlation, many will agree. He does not translate rigpa as presence, as I have explained before. The word he is translating for presence is dran pa, mindfulness. The word he uses for rig pa is knowledge. Why do I know this? Because I frequently follow him with the Tibetan text he is teaching in hand. But I am not saying that knowledge is the best translation for rig pa in general because he is using it. It is because I have been reading Dzogchen texts for 20 years and finally concluded on my own that "knowledge" was best. While many of his other students who post around here think that he does translate rigpa as presence. Again awareness can be of relative objects (i.e. being aware of some object).. knowledge can also be of relative objects, having knowledge of such and such field of knowledge. In this case, he is using the term rig pa to describe one's knowledge of the basis i.e. essence, nature and energy/compassion. When you have that knowledge (vidyā/rig pa) you no longer wander in samsara. When you do not have that knowledge (avidyā,ma rig pa) then you wander in samsara endlessly. As far as what other people may say who do not know Tibetan, and do not follow his teachings with text in hand, all I can say is that they are mistaken. Sometimes Rinpoche will translate "shes pa skad gcig ma" as "instant presence", because this uncontrived momentary awareness is the basis of tregchö etc. Then in this case one uses mindfulness as a support for uncontrived momentary awareness do that you do not wander in distraction. In this respect, there is basically difference between mahāmudra meditation, dzogchen and the Sakya "khordey yerme" i.e. the view of inseparability of samsara and nirvana -- they all are talking about the same thing in this respect tha mal gyi shes pa so called "ordinary mind" or "basis awareness". But rigpa is something else. Rigpa is the knowledge of your state. When you have recognized uncontrived momentary awareness, the knowledge that ensues from recognition is rigpa. When you have recognized the meaning of sound, lights and rays, the knowledge that ensues from recognition is rigpa. Why, because you are no longer in a state of ignorance. The opposite of ignorance is knowledge. The opposite of ma rig pa is rig pa, the opposite of avidyā is vidyā. Also rig pa can mean knowledge. As a verb, it means "to know" when it is used as a verb in Tibetan, never "to be aware". Then there is the rig gnas lnga i.e. the five sciences, the pañcavidyāsthana. The use of the term vidyā as the opposite of avidyā is very deliberate in Dzogchen texts and relates to the beginning of the cycle of dependent origination. When Samantabhadra knew his own state, the chain of dependent origination, which begins with ignorance, never started for him. The opposite of intelligence is absence of intelligence or in this sense, the insentient, the inert. Sure, they do. They are not native English speakers. Not their fault. They do the best they can. The reason every one in the bon po world uses awareness is mainly due to John Reynolds. But now more and more people are moving away from that translation, in the Buddhist world at any rate. The bon world is much smaller, and therefore, it will more resistant to change. Also fewer western translators. Rigpa on it; knowledge for schoolstudents. There are many Rigpa's and combinations. In 'naked awareness' I see clear as emptiness and awareness. Pure awareness as Rigpa here. Maybe self-"arising" (already is) gnosis= empty awareness. I think the linguistic meaning is less important. Also nature is not in text revealing. One of the problems you will face if you insist on translating rigpa as a awareness, is that you will be able to differentiate Dzogchen, etc. from the hindus who are always waffling on about "pure awareness". In reality, "awareness" is a word in english which requires an object. "Awareness is the state or ability to perceive, to feel, or to be conscious of events, objects or sensory patterns. In this level of consciousness, sense data can be confirmed by an observer without necessarily implying understanding. More broadly, it is the state or quality of being aware of something. In biological psychology, awareness is defined as a human's or an animal's perception and cognitive reaction to a condition or event." I know you are not a native English speaker, and so you may not be tuned into usage of English terms. Awareness is always an awareness of something. The basis is not a something. If you are aware of the basis as a something, then you immediately fall into samsara. This is the problem with using the term awareness for rig pa. Knowledge in the other hand is more ambiguous word in English which actually involves real philosophical issues hence the discipline of epistemology i.e. the study of knowledge qua knowledge. Rig pa in every sense of the word as it is used in opposition to ma rig pa has to do with knowing as opposed to ignorance. Some have described as the intersection between belief and truth, or "a justified true belief." In this case, rig pa is justified, because it is based on a personal experience, true, because that experience can be verified by anyone, and a belief because in this case personal experience has lead us to a state personal verification of something that before hand be merely believed. Anyway, people are free to believe what they wish, justified or not. It is my belief, one I think justified and true, that the English word awareness is not an adequate translation of rig pa almost every case. The problem is that you and mudra do not fully understand what term "awareness" really means in English. So therefore, you are stuck on an obsolete translation. So, there is no point in further discussion. As long as you understand what rig pa means for yourself, you can call rig pa "george". Q: So which translation for rigpa do you like? the pure (dag = Mind, the nature of mind) from the impure (ma‐dag = mind, the conditioned mind). In this discerning aspect (rig‐cha), there is no duality, simply the ever‐pure, lucid, vivid and fresh knowledge of the natural state. In such a state, the arising of thoughts is not a problem at all, on the contrary they may be more than welcome, especially for investigating the meaning of the teachings, spreading them, etc. If there is a knowing and grasping reference point which is abiding prior to appearances, like a background, then this is the dualistic mind i.e. mind [tib. sems, skt. citta]. From the standpoint of mind there is no discernment because mind cannot discern itself from wisdom. So while the knowing aspect of mind i.e. cognizance or clarity, is given the name 'rigpa', it is not the definitive rigpa [rang byung rig pa] which can discern mind from wisdom because it is wrapped up in confusion and is mistaken as the deluded reference point of mind. When the nature of mind [tib. sems nyid, skt. cittatā] is recognized, then the grasping reference point is rendered null and void. Appearances are no longer being mediated by a false reference point and so they self-liberate [rang grol]. Resting in that self-liberation is called the 'path' in Dzogchen. The problem, is that some mistake the act of resting in the indifference of mind and allowing appearances to arise and pass before them, to be self-liberation when it is not. If the reference point of mind is in tact then merely resting in the substratum and allowing appearances to arise and pass before you is coarse non-grasping. Coarse, because the mind is still present mediating experience. Coarse non-grasping is not rang byung rig pa. When the mind is recognized to be empty, then there is no longer a reference point mediating experience. This is the true subtle non-grasping of Dzogchen. Kyle Dixon Resting in the reference point of mind (as in śamatha) practice, is a necessary prerequisite for the majority of individuals. It is merely a stepping stone though, if this isn't eventually transcended via recognition of the nature of mind, then one is simply remaining in confusion. This is why I don't understand Jackson's deprecation of gradual methods for recognizing mind essence [sems nyid]. It makes no sense. Only a rare few recognize the nature of mind [tib. sems nyid, skt. cittatā] in the initial instance of introduction. Most will recognize clarity (provisional rigpa) and then must partake in other practices to refine that initial insight so that they can eventually recognize their nature. Why Jackson doesn't acknowledge this is very suspect to me. If you have seen the nature of mind then you know it is quite a different flavor than our normal experience, and must be integrated with and cultivated skillfully. It is free from a mind of grasping attachment. Recognize this again and again. one is person who has seen the truth. John Tan Thks Jackson and Kyle for the clarifications. Very clear explanations Kyle, Thank you. When u say Wisdom here, r u referring to mind's primordial state (primordial not as beginning but as "always been the case"), that is, empty clarity and basis here means? "If one knows [shes] the buddhahood that has always been [ye] naturally formed by nature, there will be buddhahood of clear realization. That is the definition of wisdom [ye shes]." Dairin Ashley This is an amazing thread!! Thank you for such clear clarifications of terminology. John Tan Hi Kyle, even when the mind is recognized to b empty and the mind as the reference point dissolved, it is still possible to grasp after appearances...that is, appearances may not b realized as empty and non-arisen. It that case, is it considered the definitive Rigpa of Dzogchen? Kyle Dixon John, appearances are realized as empty when rigpa matures to it's full measure. The full measure of rigpa is the realization of emptiness. The knowledge that comes from recognizing the nature of mind is definitive because it reveals the unreality of the reference point, and thus allows for discernment between mind and wisdom. So it is definitive because it signifies the beginning of the path. Grasping can indeed arise again but that is why the Dzogchenpa practices, meaning he or she rests in that rigpa at all times. "Any term in Dzogchen that refers to instant illumination of Clarity itself?" When the basis [tib. gzhi] i.e. primordial wisdom [tib. ye shes] is recognized, the discerning knowledge which results is vidyā, and the point is to then familiarize oneself with that knowledge. Because one's karmic propensities are tendencies which are habitual in nature, they require exhaustion. The teaching is to maintain the view, rest in the view. The more efficient one is in doing so, the quicker perfect buddhahood is attained. For most, integration requires some time. "At the level at which this description of Rigpa takes place, Rigpa is defined as unripened, or immature on non-entirely sublimated (ma smin pa) because it remains a potential for discerning our real nature, not a de facto data. Its liberating qualities are not YET entirely expressed and will be so more or less until Buddhahood is reached. Rigpa is the knowledge of the natural state, as long as we are not Buddhas, it's important to make the distinction. Actually, more precisely, Rigpa is the Discernment that enables us to distinguish mind (sems, as a discursive ego-centered grasping) from Mind itself (sems-nyid, as the pure nature of mind). Without this fundamental Dis-cernment, we are certain to remain in the identification with sems (not with sems-nyid)." "So from unripened, impermanent Awareness, we go to a state where it is totally ripened or sublimated (i don't know if this has the same meaning in english as it has in french), its utter total expression being that of the 3rd vision of Thogel: the Full Measure of Awareness (rig pa tshad phebs). This is real Rigpa, before that we are fluctuating but improving (for those who chose to practice the Path)." "However if he has not perfected his skill in the wisdom that shines out in vipaśyanā [dzogchen vipaśyanā i.e. resting in the natural state], then, being enveloped in the ālaya as before, that lamp of luminosity will be extinguished and no longer present." John Tan Lol...hi din, it has been almost a decade since we last "seriously chat"
I m not looking at "awareness being aware of itself", I m looking solely at "transmission", that "Instant illumination". In this case, what exactly is "Rigpa" in Dzogchen and how it is been transmitted. 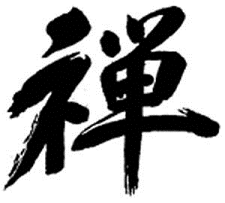 "Instant illumination" is a direct translation of the Chinese character 悟 that is made up of 2 ideograms 心 (heart) and 吾(me) carrying the meaning "heart to heart touch" -- an intuitive, direct, heart to heart transmission. It is a different approach between west and east where one is a very systematic and structured approach towards learning while the other is more intuitive. A good eastern teacher is one that teaches only the very basic and leaves the "essence" raw, primordial and original for the student...but to pass this treasure to the student, it requires the first opening of the "eye" that can penetrate beyond forms and symbols so that both student and teacher can communicate beyond words. That is "transmission". So initially I m thinking is there such a term for this opening of the "eye of immediacy". With this opening then one is able to clearly discern mind from wisdom after knowing the basic definition of "Rigpa". Anyway thks everyone. Just want to take the opportunity to clarify the definitive meaning of Rigpa in Dzogchen during my vacation. John Tan Thks Kyle for taking the time and effort to clarify. Jackson Peterson Exactly John Tan! The flash of Zen insight is "rigpa". John Tan Yes Din I know u went through lots of efforts and gone through confusions after confusions b4 the dawn of the insight "they r just thoughts". That certainly gets u out of the mess of confusions. Happy journey din. John Tan Haha Jackson, u never give up. This heart is the "space" of where, the "time" of when and the "I" of who. In hearing, it's that "sound". In seeing, it's that "scenery". In thinking, it is that "eureka"! In snapping a finger, it is seizing the whole entire moment of that instantaneous "snapping". Just marvelous such as it is on the fly. So no "it" but thoroughly empty. To u this "heart" is most real, to dzogchen it is illusory. Though illusory, it is fully vivid and brilliance. Since it is illusory, it nvr really truly arise. There is genuine "treasure" in the illusory. I think Kyle has a lot points to share. Do unblock him. Nice chat And happy journey jax! Neony Karby "There is genuine "treasure" in the illusory." Yes, the continuity of the flow is an adorable constant of genuine stillness. Jackson Peterson Kyle, the term "consciousness" that I use is not "namshe" or "nampar shes pa", rather it is "shes pa" as in "ye na shes pa" "yeshe". It is not a mere registering awareness, it also has the capacity for further insight into its own self-nature. Also rigpa is not just knowledge "about" the Dharmakaya, it IS the Dharmakaya. Awareness is used by the English speaking Lamas because it implies a knowing sentience. Norbu many, many times with me has used "presence" for rigpa. Its the aware presence that knows its own nature. He does not mean it to be "mindfulness" or dranpa when he is pointing out rigpa. Jackson Peterson "And in the present moment, when your mind remains in its own condition without constructing anything, Awareness, at that moment, in itself is quite ordinary. Since there is only this pure observing, there will be found a lucid clarity without anyone being there who is the observer, only a naked manifest awareness is present. Jackson Peterson Soh, does this accord with your experience? Is "awareness" known like this for you too? Kyle Dixon Ye shes isn't a consciousness, because shes pa doesn't mean 'consciousness'. On top of that ye shes translates to jñāna, while consciousness [rnam shes] translates to vijñāna. Jñāna and vijñāna are clearly not the same. The 'vi' prefix means 'consciousness' is not wisdom. Ergo ye shes [wisdom] is not consciousness. The prefix vi- is seen in some commonly used Pali & Sanskrit Buddhist terms; such as vimala, vinaya, vinnana/vijnana, visuddha/vishuddha, vihara, and vipassana/vipashyana. It is a cognate of the common English prefix dis- [or de-]. A Reversal or Removal: This is similar to a negation. An example in English is disappear; to cease to appear. Another is disconnect; to end a connection. Disengage, disservice, and defuse are other examples in which dis- serves to reverse the meaning of the base word. An example of this function is seen in the Buddhist terms viraga and vimala. To sunder, sever, divide, separate, or take ‘apart:’ Sometimes this is sort of like a negations, as in the word dismember — to cut or tear off or part. At other times, it simply kind of sorts things out, as in delineate. Disseminate is another example in which dis- means to divide up, as is discourse. This kind of function for vi- is seen in the Buddhist terms vinaya, vihara, and vinnana / vijnana. An Intensifier: This use of dis- in English, or vi- in Pali or Sanskrit, does not change the meaning of the root word; it sets the use of the word ‘apart’ from its common usage. The best example in English ins disgruntled. What were we before we became disgruntled? Were we gruntled? The answer is yes. Gruntle is an old verb that meant to groan, grunt, or grumble. So, gruntled meant that one was malcontented. Disgruntled means to be utterly discontented, an intensive of gruntled. There is also the verb debar; which means virtually the same thing as the verb bar; but might imply a more official or permanent prohibition. Also, disannul intensifies annul. The vi- in the Buddhist terms vipassana / vipashyana, and visuddha / vishuddha is an intensifier. By the way, em-, en-, ex-, il-, in-, and ir- are other examples are prefixes than can act like negations; but are also used as intensifiers. Finally, looking at etymologies has not only helped me understand Buddhist terms, it has also helped me better appreciate the nuances of my own English language. Sometimes, the prefix dis- can mean different things in the same word, depending on context. An example is discern. The ‘cern; part is from a root that means ‘to sift.’ Discern can mean to see , detect, or recognize intently or clearly; in that case dis- is an intensive. However, discern can also mean to identify differences or discriminate, in that cases dis- serves to indicate division or separation. Kyle Dixon Rigpa is knowledge of dharmakāya, and is only equivalent to dharmakāya once emptiness has been realized. Namkhai Norbu Rinpoche does not use 'presence' for rigpa, this point was specifically clarified by Malcolm here in this very group. No one ever said rigpa is 'mindfulness' or dran pa, that is a straw man argument, and if you weren't hiding behind having me blocked (so you can't read my posts) you'd know I made this very point earlier this week. Kyle Dixon Translating 'ye shes' as consciousness is only going to potentially confuse people. When they later encounter a description of the eight consciousnesses, which is 'consciousness' used in its proper context; complete with dependently originated sensory organ, sensory field and sense objects (and ye shes will certainly be excluded from that grouping), it won't make much sense. Ye shes is the three kāyas. Dairin Ashley I love etymology!! It's so fascinating. Maybe CERN (as in European Organization for Nuclear Research, home of Large Hadron Collider) is called CERN because of the root meaning of the word cern. I do know the acronym is from the French 'Centre European pour la Recherche Nucleaire'. Anyway... these thoughts popped up when I read what you wrote Kyle.